Day in and day out, the grind towards what we want to achieve and the end point until our goals are reached is often tiresome! It can drive us to the point of fatigue and even abandoning what it is we are pursuing! But in our makeup, our very biology, we have tenacity and persistence inherent within us. Life seems to persist through God’s design, for His purposes, and by His grace, in spite of what we do or attempt to do. Life and all living matter persist, beyond our own efforts to destroy things, beyond our knowledge, or in our careless abandonment, we can see it all around us. So, in our pursuit of life’s goals and our dreams, we shouldn’t let a few moments or periods of fatigue, brain fog, or disappointment take from us our inspiration, our intention, or our indefatigable drive! We’re made of tougher stuff than that! 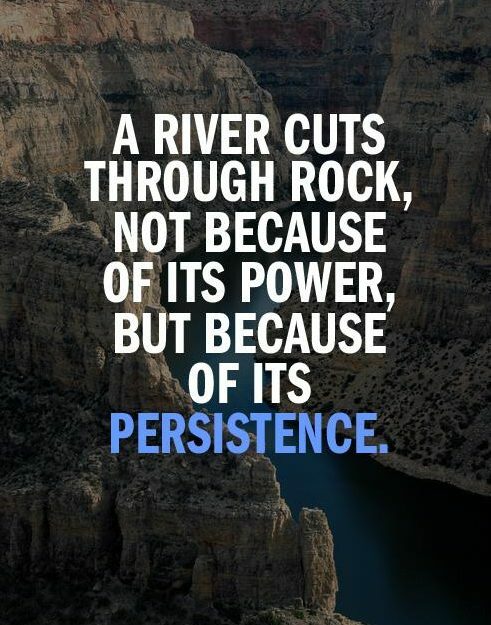 We must persist in our efforts. We must learn by habit how to rely upon our muscles of patience, fortitude, and determination to see us through, rather than giving up somewhere along the way! At those key moments when all seems so overwhelming and the road ahead looms too long or taxing for any further effort, we need to hunker down into a stubborn gear on our inner gear shift, which takes us over the rough spots and the most challenging part of our goal ascent! Impossible you say?! I would argue that it’s harder to live with quitting, which forces upon us a lifetime of regret, wasted potential, and the repetitively spent energy of what if! One moment of fatigue can lead to a lifetime of why? Why did I quit? Why did I let my dream slip away? Why did I fail? Why didn’t I see it through? Why? Why? Why?! If you want something bad enough, you have to develop the habit of the “hunker down”, using the muscles of determination, patience, and fortitude when other fleeting emotions or feelings are telling you otherwise! 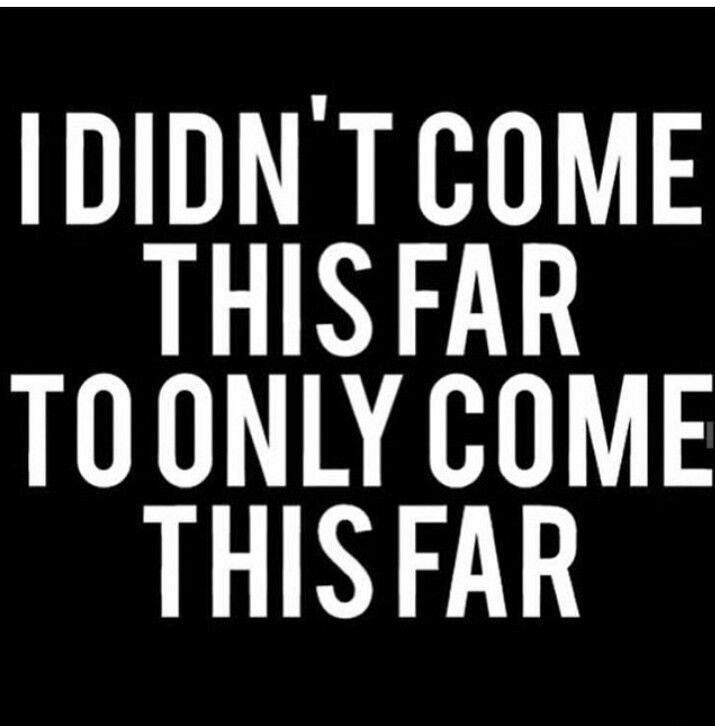 I’m not suggesting you keep running into brick walls of impossibility, but if there is even a thought of finishing what you began in some pursuit of a goal or dream, then don’t let the efforts required in doing so dissuade you! The efforts are part of the big reward! The efforts are what make the end goal so much more enticing! Without the sweat, dogged pursuit, planning, and execution, there is little in which to be proud, to feel rewarded, or to claim your prize. There are no participation trophies for all. Only those who put in the time, effort, and endure for whatever amount of time is required to reach their goal will win! Reaching the goal is only a victory if you had to overcome some obstacle or find a way through some roadblocks. If it was easy, it wasn’t a very big goal! If it was something everyone could do or have, then it isn’t really much of a dream specific for you! I’m suggesting that you have within you limitless potential to overcome, to reach higher, to go further, and to attain some new level. But if you don’t persist in that disciplined challenge in a temporary moment when the pursuit seems too hard, difficult, pressing, taxing, overwhelming, or just too tiresome, then you will never know your full potential! Persist! If you want something, remember why when you hit the wall, and persist!